← Can you Chew Tobacco and Preach the Bible at the Same Time? An interview with Danny Hyde about his new book published by Reformation Trust, Welcome to a Reformed Church. Danny, before I begin asking questions about your newest title, Welcome to a Reformed Church: A Guide for Pilgrims (Reformation Trust), let me ask you a few questions in general about your process in writing this book. 1. When did you first realize the need for this title? Thank you for the opportunity to discuss the book, Michael. As a church planter I am always looking for clear, concise, and cogent literature to give out to the droves of visitors, inquirers, and curious onlookers that have come to OURC over the past ten years. So basically I’ve felt the need since I began planting this church. 2. When did you start the process of writing this title? The genesis of this book was about seven years ago. I was giving out dozens and dozens of Stephen Smallman’s, What is a Reformed Church?, and John R. DeWitt’s, What is the Reformed Faith? These are fine little booklets, but I felt they were too small and too narrowly focused on only a few doctrines. What I needed was an introductory book that I could give visitors that would explain to them what we are all about, but to do so in a way that was faithful to the emphases and contours of our confessional documents. 3. How long did it take to write this title? Now that’s a good question! As everyone who knows me knows, I never sit down to write a book. I started a file “Welcome to a Reformed Church” about four years ago. I first wrote a church webpage with that title and topic, then it morphed into a little booklet for our literature rack, then into a proposal that was rejected by a publisher, and finally into a better proposal and manuscript that Reformation Trust so graciously accepted. 4. What was one of the most surprising things you learned when writing this title? I wouldn’t say I was “surprised” by anything in particular; instead, I was impressed and moved by our historic confessions once again. As you see in the book, I basically follow the doctrinal emphases of our confessions. There is a reason these documents have stood the test of time and I am honored merely to parrot them back to those among whom I minister. 5. What was the hardest part of writing this title, and why so? The hardest part of writing for me—and this is going to sound contradictory—is starting and stopping. It’s easy to feel some inspiration to pump out a few pages here or there, but having to stay motivated so that I start and re-start over a season of life is a challenge. It’s also a challenge to stop and not blather on and on as if I were God’s gift to literature. 6. How’d you come up with the title, Welcome to a Reformed Church? Or did someone else. Hey, I’ve got some originality! When I saw the need and started writing, I envisioned this volume as a follow-up to my little booklet, What to Expect in Reformed Worship? I basically thought of a recent visitor we had to church and wanted to communicate warmth and hospitality: Welcome! Okay enough of the easy questions; let’s get a little bit more specific with this book. 7. 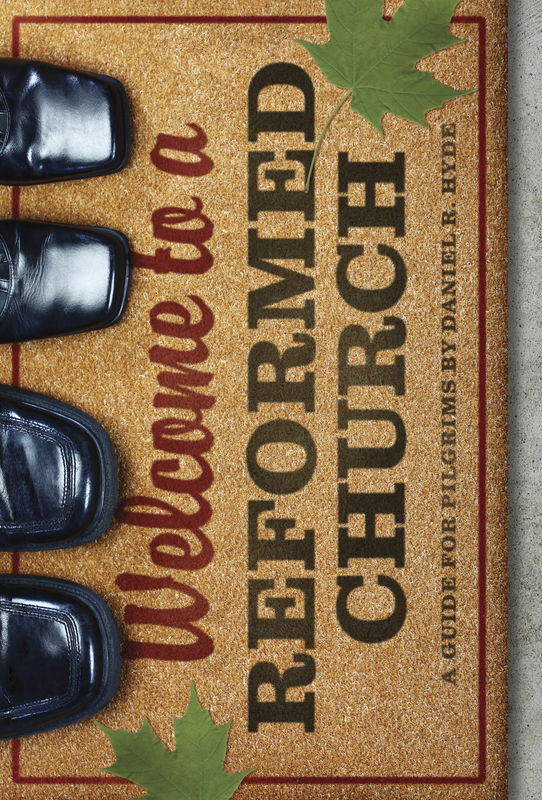 What makes Welcome to a Reformed Church different than any other introduction to Reformed churches and their faith? I believe the main features that distinguishes my book from others like Smallman’s and DeWitt’s is that I follow the emphases that our own confessions emphasize and that I write an a former outsider to the Reformed Faith in a conversational way. 8. What, who, or where did you come up with the layout for your newest title, Welcome to a Reformed Church? By layout, what I mean is the table of contents – why did you break it down to the topics: Roots, Confession, Scripture, Covenant, etc.? 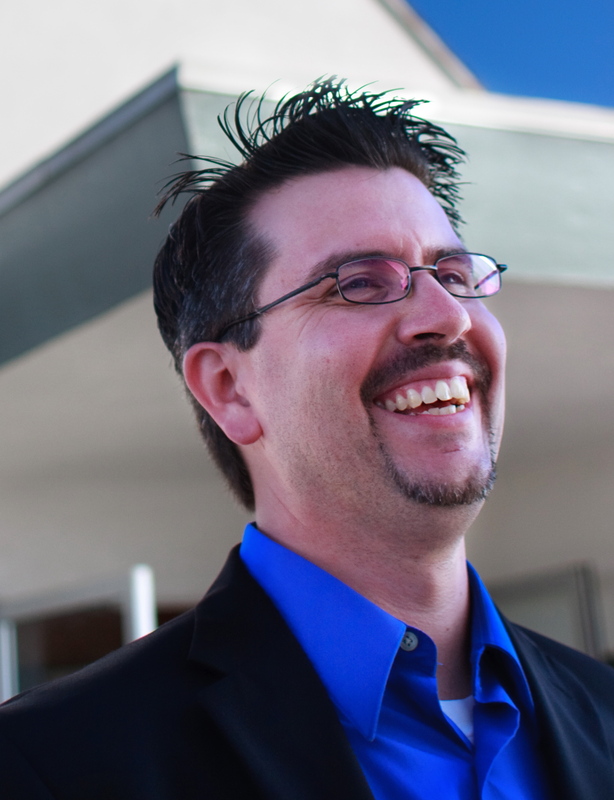 I wanted to open with a brief history to say to people, “Although you may never have been in a Reformed church, we did not just come out of nowhere. We’ve been around the block a few times.” After that it was necessary to explain what our creeds and confessions are and then to detail their doctrinal emphases. 9. For those of us that know Dr. Godfrey’s title, An Unexpected Journey: Discovering Reformed Christianity, in what ways does your title, Welcome to a Reformed Church differ? Wow, you’re asking me to compare myself with one of my mentors and men I look up to the most. There’s a reason I dedicated one of my books to him with the inscription, non est servus maior domino suo (“the servant is not greater than his master”). Basically what I would say is that Dr. Godfrey’s book is a different genre, being his spiritual autobiography. 10. As an introduction to your book you place a section entitled “Welcome to a New World?” Besides actually reading the short 3-4 pages of material, can you tell us just how different a Reformed Church is from those that most visitors to your church are used to? 11. What chapter: scripture, confession, justification, etc. was your favorite to write? Why? No question about it: chapter 5, “Justification: Grace Alone, Faith Alone, Christ Alone.” This is the article upon which the church stands or falls, the hinge upon which true religion turns, the heartbeat of heaven, and the pulse beat of the pilgrim. Westminster Larger Catechism, Q&A 70, was the question my beloved college theology professor read in class one day that transformed my life. I will never tire of preaching, teaching, or writing about justification. 12. Two of the chapters that stood out from the others to me were chapter 8 on worship and chapter 9 on the means of grace in the Reformed church. Can you maybe expound upon the reasoning that you added these to the book, and the importance that worship and the practice of the sacraments have in Reformed churches today? Sure. Not only is evangelicalism a churchless phenomenon, meaning, that the doctrine and nature of the church is utterly neglected, but much of what is passing itself off as “Reformed” today has no real semblance of ecclesiology. Sure there are great preachers out there and people who believe in the so-called five points of Calvinism, but it’s just evangelicalism with the doctrine of election added on. All this to say that I want visitors to my church, and those who may visit other churches, to know that we have a high regard for the church. Worship is our chief end as the Westminster Catechisms state and it is the context in which God meets with his people through the means he has appointed: Word and sacraments. 13. I must ask the one question that has been bugging me, why the subtitle A Guide for Pilgrims? Is it a guide for only those in the Reformed Church today? As I mention in the Introduction, I pray that those who are wandering throughout the morass of churches today and who find their way to a Reformed church would find a home—at least a temporary one until the dawning of the age to come. 14. Answering the last question, I move to asking, whom exactly is your book written for? Age? Denomination? Reformed? Non-Reformed? Every time I write a book I envision myself talking with an individual person. In this case, I wrote it for someone who was just like me the first time I walked wide-eyed into a Reformed church—young, burned out on evangelical religion, without a clue as to what a Reformed church was all about. 15. How do you see this title helping those new to the Reformed faith? I see it as giving them a road map on their pilgrimage. It is intended to explain as clearly and concisely as I can what we are all about, to enlighten the mind, move the will of a person to united him or her self with a Reformed church, and to fan into flame their affections for the Lord, his Word, and his Church. 16. For those in the New-Calvinist/New-Reformed movement, how would a title like this help them understand what truly is the Reformed Church? Danny, Let’s end how we started with a few general questions. 17. What other projects are you working on? Well, first and foremost, I am a husband and father, as well as a pastor and preacher of the Word of God, so all other projects have to fit into my schedule of preaching every Lord’s Day morning and evening, catechizing my group of third to eighth grade students, teaching a mid-week class on theology, and visiting my flock in their homes. My most pressing project is my Th.M. with Joel Beeke and Derek Thomas on the liturgical theology of John Owen. I will be done by May. I have several books already done and in the process of coming to print. I have a small book on the descent into hell of Jesus Christ coming out in April or May with Reformation Heritage Books, a book I co-edited and contributed to on planting confessionally Reformed churches coming out early in 2011 with RHB, and a booklet in P&R’s series “The Basics of the Faith” on the existence of God coming out early in 2011 as well. Beyond that I still am working on editing my sermons through the tabernacle narrative in Exodus to turn into a book that shows how Christ is the sum of substance of it. 18. What other books have most influenced your life that you would recommend for others to read on the related subject of Welcome to a Reformed Church? I do offer a list of recommended readings at the end of the book, but I would say the books that have most influenced me are John Calvin’s Institutes for its breadth and depth of doctrinal discussion, John Owen’s Communion with God for its leading me to worship our Triune God, Athanasius’ On the Incarnation of the Word for its causing me to stand in awe of the wonder of the Incarnation, and William Perkins’ The Art of Prophesying for giving me a God-honoring method for proclaiming the Word of the life. 19. In what way do you hope to see Welcome to a Reformed Church used today in the church among believers? Small groups? Book study? I hope it finds a wide readership in Reformed churches to enliven and equip our people to testify with greater boldness and is used on book racks, book tables, new members’ courses, Sunday school classes, etc. I am so glad that Ligonier has made it available at their special “Spread-the-Word” pricing so that it can be used far and wide. Lastly, Danny next time you write a book, (I told you this once before with your last title Living In Color) do not, I repeat do not use endnotes. Please for the sake us in seminary that wish to use your title, use footnotes. Thanks! just wanted to second the endnote comment – they are the scourge of the book publishing industry! Michael, I agree concerning endnotes, but I have to do what the publishers want. To be fair to Danny, the use of footnotes or endnotes is commonly the publisher’s decision. Danny very well could have submitted the mansuscript with footnotes. I know, the publisher’s are thinking “readable.” I am thinking, where is the source, thought, explaining, etc. However non-acedemic publishing companies tend to not think about us seminary students. Yes, I know that, and I know why RT made them into end notes for readability. However, I personally hate them.